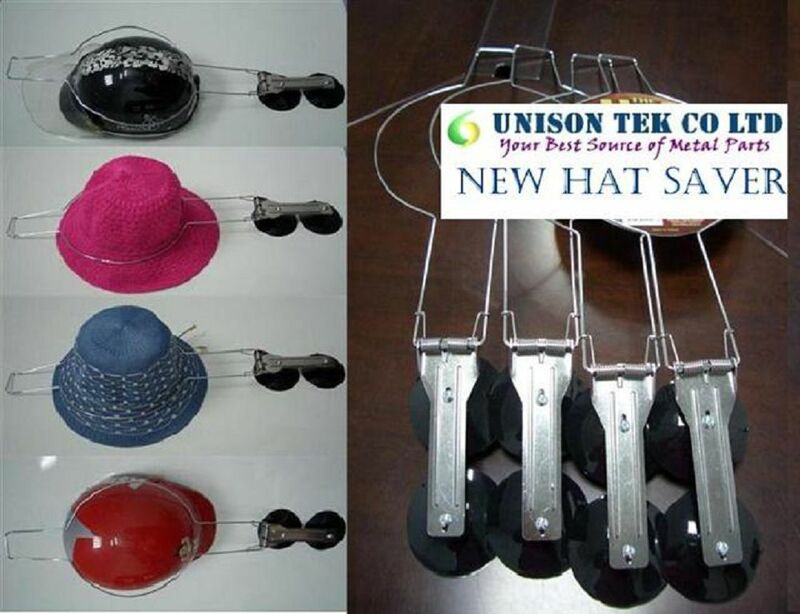 Hat Saver - UNISON TEK CO., LTD.
Spring-loaded swivel holds your hard hat securely and keeps it out of the way. Durable metal. For any hard hat or cap. Has a spring-loaded loop that absolutely will not let hats slip out. Mounts easily on the ceiling of your vehicle. Holds hats safely out of the way of the sun's harmful rays. Mounts easily whatever the angle of the headliner molding or mirror bracket. Suitable for all types of vehicles. Holds fast to glass and gloss surfaces. Installs and removes in an instant. Transfers easily from vehicle to vehicle. * easy to set on windscreen of a car, glasses, metal cabinet or anything suction cups are able to applied to. Visit CNC Turning Parts , Stamping Parts to get more info about us.